Sunday May 19 at 6:30 pm at the Burlington Art Center at 301 Jefferson Street in Burlington, Iowa. This is an invitation from Carol Bartles, a Friend, a Quaker living in Burlington, Iowa. Many folks in our area have shown an interest in learning about Quakers and the service work Quakers do in the world. David Zarembka, Coordinator of the African Great Lakes Initiative of the Friends Peace Teams, will give a program, Sunday May 19 at 6:30 pm at the Burlington Art Center at 301 Jefferson Street in Burlington, Iowa. 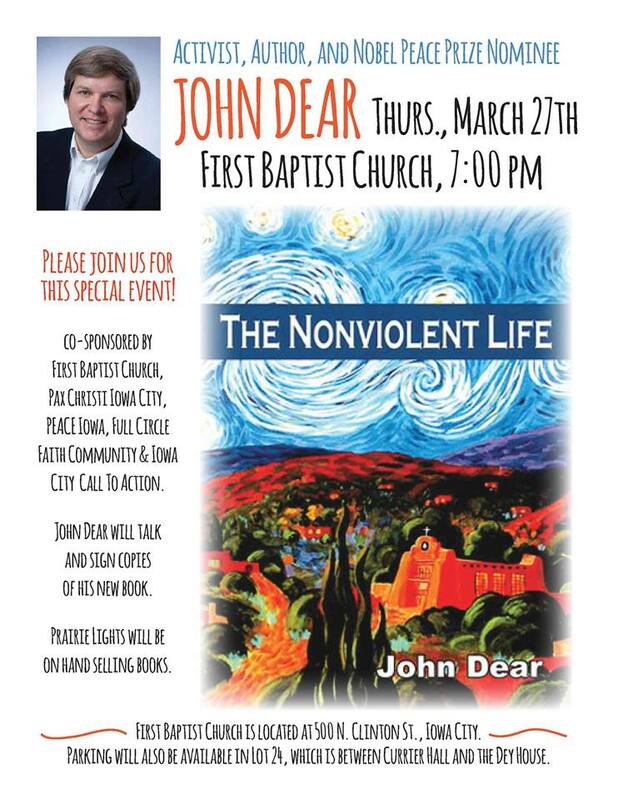 Please join us to learn about peacemaking. David and his wife, Gladys Kamonya (a peacemaker in her own right) are touring the United States to share what they know about peace building, how peace is possible and alive in our world. A pot luck meal is planned at 5 pm, you are invited to eat with us as well. I have known David for many years and when I learned he and Gladys are touring the US this summer, I invited David to spend the evening talking about his work. Are revenge, hatred and violence the only possibilities after deadly conflict? Can healing and reconciliation between enemies occur? Join us to learn about peacemaking activities on the ground in the Great Lakes Region of Africa. Zarembka will describe the organization’s work facilitating healing and reconciliation between enemies in in Rwanda, Burundi, eastern Congo, and Kenya. Zarembka will describe how the Alternatives to Violence Project (AVP) is used to bring all sides of a conflict back together. From the AVP program the Rwandans and Burundians have developed another program, Healing and Rebuilding Our Communities (HROC), to deal specifically with personal and community trauma. Zarembka will describe how listening workshops, mediation, inter-community dialogue facilitate positive changes in communities in conflict. He will answer the questions: What are the difficulties? How successful are the programs? Can these techniques be used elsewhere? The African Great Lakes Initiative of the Friends Peace Teams is a Quaker organization that promotes peacemaking activities with local groups in the Great Lakes region. For more than forty-five years, Zarembka has been deeply involved in the Great Lakes region of Africa. In April 2011, David Zarembka published a book, A Peace of Africa: Reflections on Life in the Great Lakes Region. The book addresses: Understanding the Context, Understanding the Cultures, Understanding Peacebuilding, and Understanding the Role of the West. Zarembka successfully analyzes current situations and offers bold solutions to make the area prosperous. Please call 815-440-9639 if you have any questions.